Any good business owner wants to learn from their customers in order to grow their business. That’s why they ask people for honest feedback… like when a manager at a restaurant asks you how your meal was. Or, when a technician asks you to fill out a review form at the end of a service or installation. The potential trouble with online reviews is that the anonymity factor can lead people down a dark path. While honest feedback is appreciated, the Internet veil can sometimes bring on exaggerated, non-constructive remarks. But, once it’s written online, it becomes a reality you have to deal with. 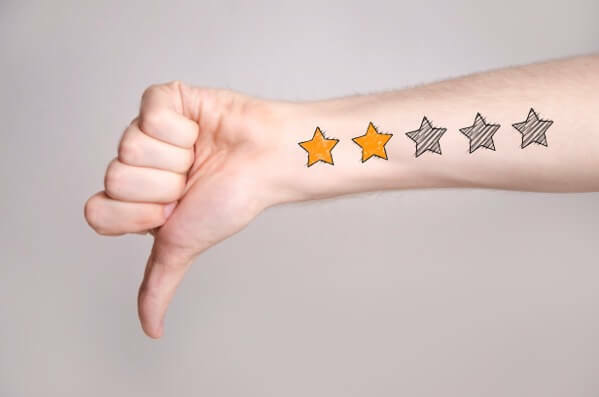 So… how do you successfully respond to negative reviews, no matter how exaggerated, hurtful or just-plain-wrong they are? Simple. Follow these easy steps using a kind and conversational voice. Thank the reviewer for his or her feedback. Apologize for whatever negative experience they’ve described. State your continued intent to better serve your customers. A majority of reviewers will not call a business back, but if they do, this is your opportunity to apologize, listen to their thoughts and offer a solution. Even if they never call you, you’ve assured future customers that you care about their experience. This increases their trust in you and negates the negative review in most cases. So, that’s what you should DO. Here’s what you DON’T do. Ignore the review and hope it’ll go away or get buried. Refute their claim or dismiss their concerns. Write with harsh, defensive or robotic language (intended tone). Change the blame by going into detail saying what THEY did wrong. Any confrontational language can lead to an unwanted continued exchange with a frustrated patron. It reflects poorly on your character as an owner or manager and negatively impacts the reputation of your business.